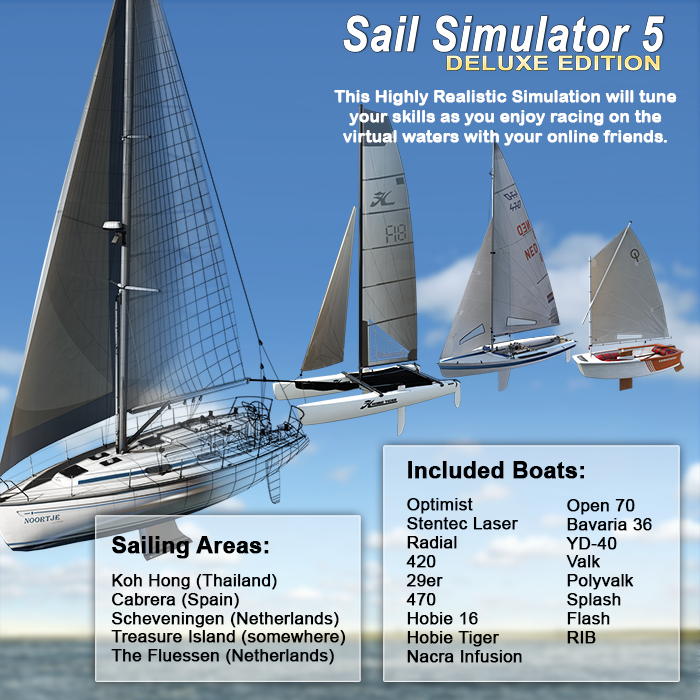 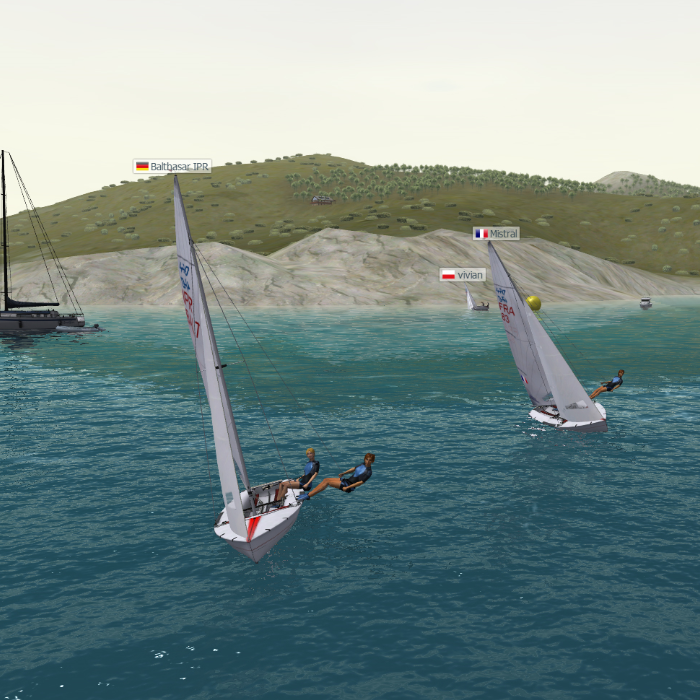 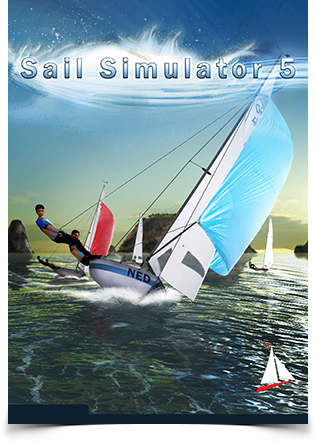 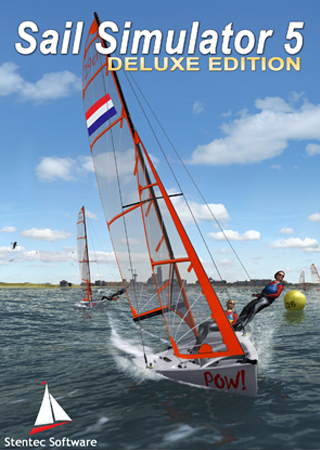 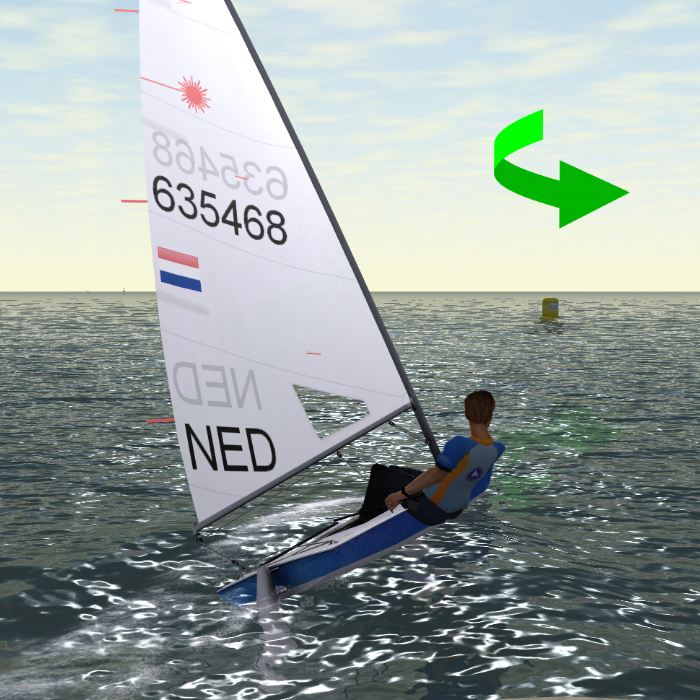 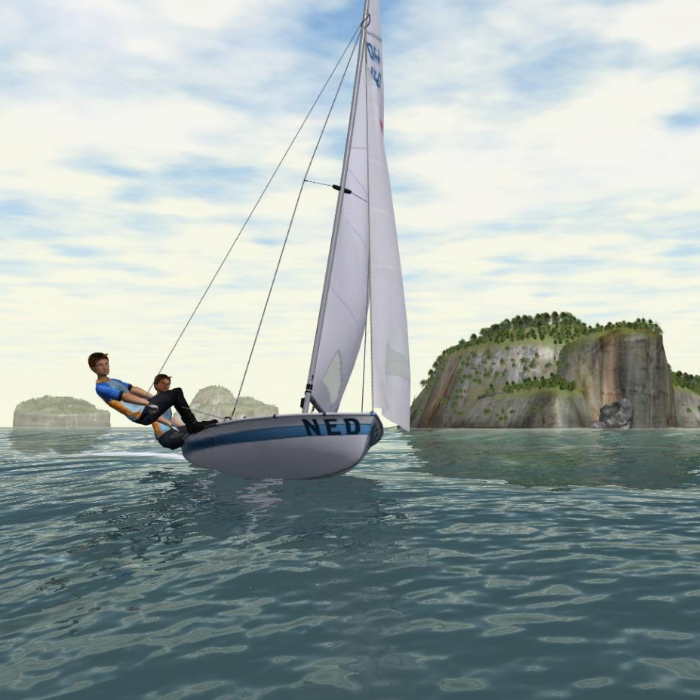 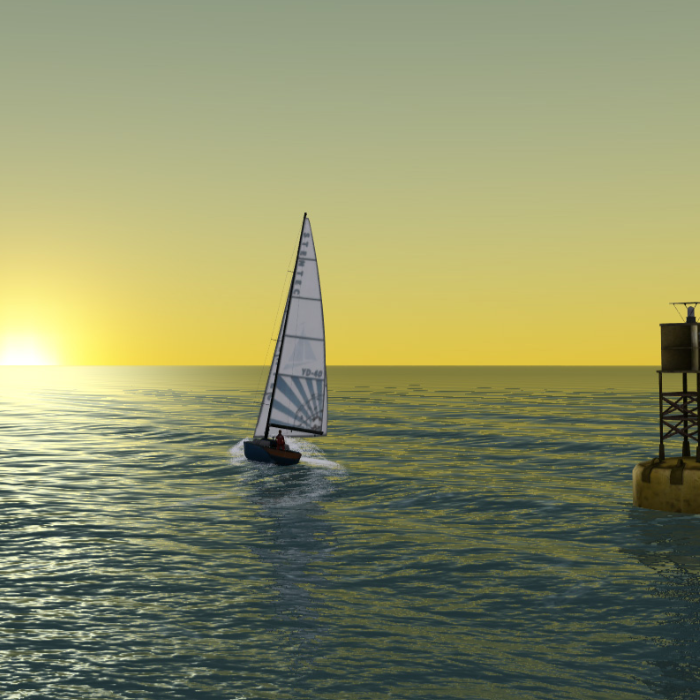 This download combi of Sail Simulator 5.2 and new Boatset gives you the opportunity to sail all 17 boats in 5 impressing sailing areas. 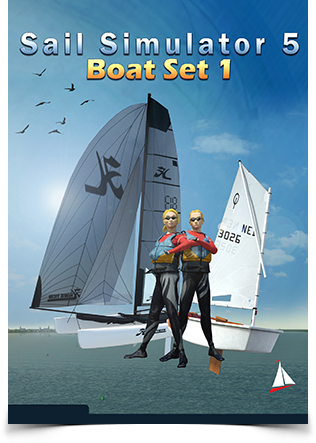 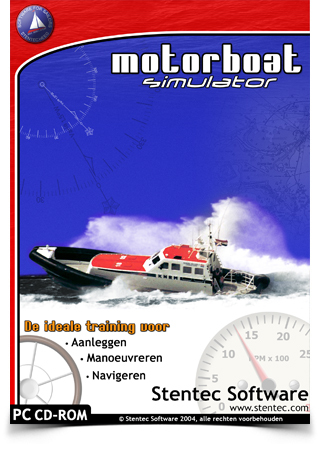 Recommended for novice and experienced sailors. 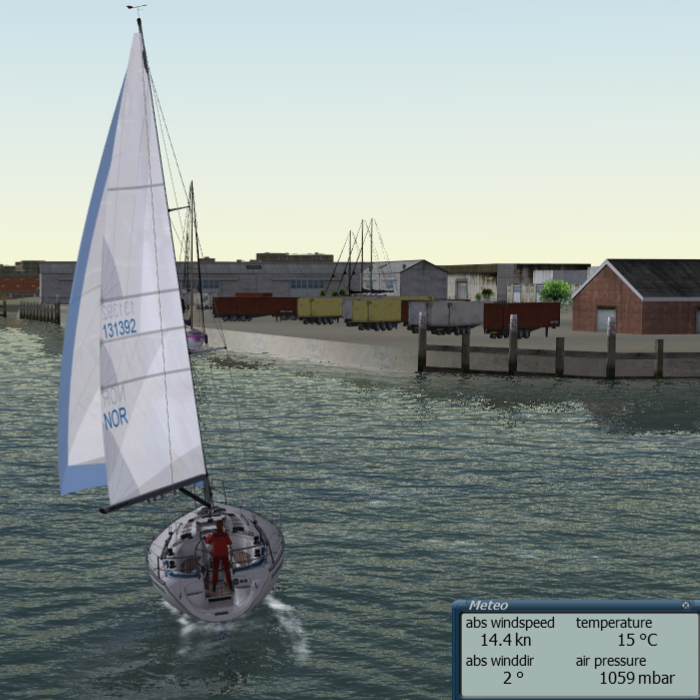 Polyvalk for training and fast RIB, both with outboard engine.